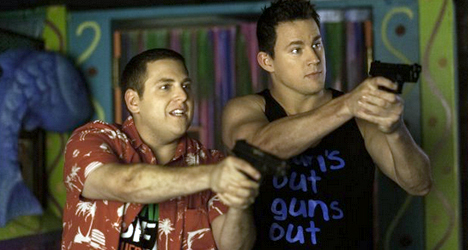 Chris Miller and Phil Lord directed "21 Jump Street," a comedy adaptation of the hit 80s TV show. 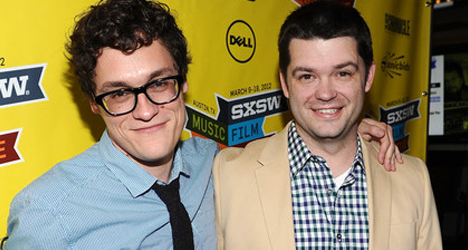 Last up were directors Chris Miller and Phil Lord. 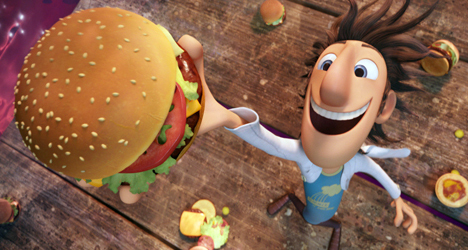 Their hit animated family movie “Cloudy With a Chance of Meatballs” may have grossed nearly $245 million worldwide, but that success didn’t mean they could waltz right into whatever live-action project they wanted. What was the transition like to live-action? Phil Lord: It’s faster. And shorter. In animation you can sit and go to lunch and figure out the answer to something and on set you have to kind of figure it out right away. But other than that, you know, animation has human people, and its basically the same thing as being creative with other human people. Chris Miller: I mean, yeah, there’s a large crew and there’s obviously the cast of that movie that we dealt with, and this was a similar situation but just, as Phil said, a lot more fast-paced and crazy. What’s it like getting the call to do an R-rated raunchy comedy? Was it a call from Hollywood in general? CM: The mayor of Hollywood. [Joining in the ’30s carnival barker voice] It’s a talkie! CM: We actually sought this out because we wanted to do something that felt very different from “Cloudy” and we thought doing a crazy, R-rated action comedy would be a lot of fun. And we were big fans of Jonah, who was already involved and working on the script with Michael Bacall, and so we actually were the ones making the call rather than the mayor of Hollywood. PL: Yeah, we kinda went after it. We had to take a bunch of meetings and convince people the cartoon dum-dums could make it. What’s it like working with an actor who also happens to be the writer? CM: It was great. 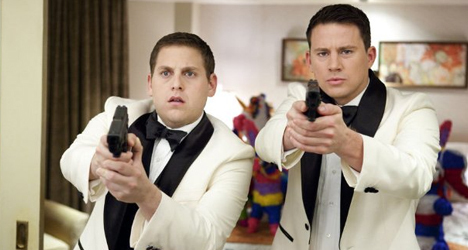 Both Jonah and Channing were producers so they were wearing different hats where they were thinking about the whole movie and not just their parts. For the most part, on the set, they were two really smart actors and we had a nice open set. We had a good script and everyone was very familiar with it. We did a lot of table reads so everyone knew where their characters were at any given time, and it was a nice springboard for them to do a lot of improvisation and stuff. Everyone was so familiar with the movie in its entirety and not just their little part in it that it made the improv a lot better. Were you fans of the TV show? CM: Yeah, we both watched the show growing up. When I was a kid, the popular girls watched the show, so I also watched the show, thinking maybe we could talk about it in the hallway. Which we did not. It never actually happened. 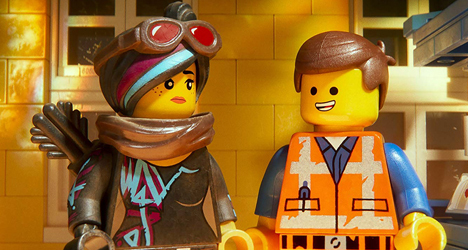 But I had a fondness for the show so we tried to put as many little details, little nods to the show, throughout the movie as possible, even though the movie itself has a very different tone. But it was a lot of fun. Any plans on doing an adaptation of the “Booker” spin-off? PL: Yeah! I’m all for it. That sounds hard. PL: Somebody call him. He’s around. Doing stuff. He’s out in the world. PL: He is. He’s still with us, God bless him.